A recent issue of Coatings World featured an article “Coatings in Russia Might be Dangerous for Health.” In order to avoid possible double interpretations of the statements in the article, as well as to eliminate a number of mistakes made, we would like to clarify the current situation and to share the actual information on the state of the Russia’s decorative coatings market and the measures taken by the professional community and government agencies to provide consumers with the safe products. Over the past few years, the consumption of decorative coatings in Russia was slightly up, as compared to 2013, with some growth of 2-3 percent expected in 2017. At the same time, the consumer demand shifted towards cheaper products. 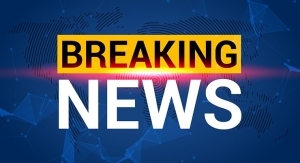 The research company GFK has estimated that the lowest market segment, described as “economy,” account for 42 percent sales in DIY retail chains. It is clear that the manufacturers of coatings can not afford to not take this trend into account. 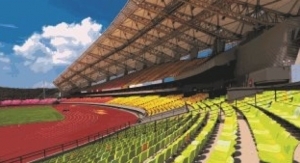 Since the cost of coatings at a large extent depends on the cost of raw materials, a number of manufacturers have been working to find cheaper ingredients and alternative suppliers. At the same time, the common desire is to keep the achieved product properties in place, which requires intense work in laboratories. However, it is impossible to deny that in such circumstances there is a danger that the harmful substances and compounds will make it way to the product sustainability. 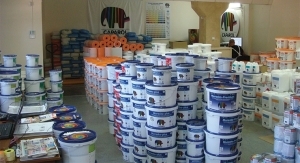 We, in the Quality Paint Association, draw attention of the market players to this problem. As for the members of the Association, the logo “Approved by the Quality Paint Association,” which our products are marked with, is the sign of quality and safe products. Moreover, the technical requirements on quality are established for all three categories of production: premium, medium and economy, with an unconditional compliance with the requirements each of this category on the absence of harmful substances. Unfortunately, in some cases, to guarantee the absence of hazardous substances in the formulation, is a non-trivial task, since it is associated with the need to obtain reliable information from the suppliers of raw materials and regular, and therefore expensive, control. As an example, it could be mentioned the control over the use of formaldehyde. As is known, a source of formaldehyde emission in coatings among other can be preservatives, dispersions, thickeners and functional additives. 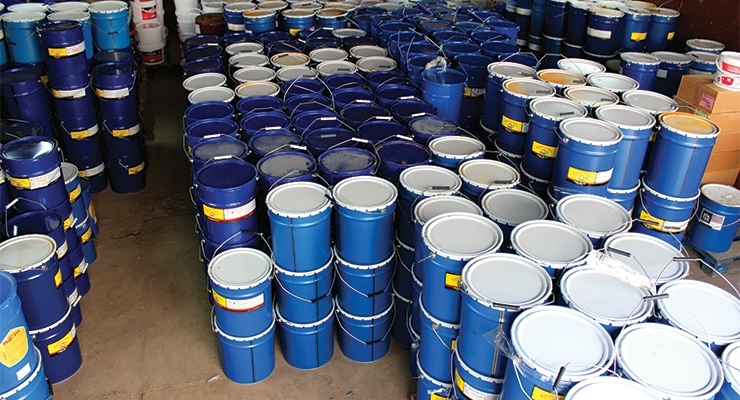 At the same time, the methods most frequently used in the global coating industry measure the total content of this volatile compound either by emission from the finished coating or directly in the product in the can, which doesn’t allow to judge about the content of formaldehyde in each ingredient. Nevertheless, understanding the danger from this compound, the tests are constantly conducted to control the safety of coatings, especially during building or repairing works in public places. It should be noted that almost all manufacturers of coatings in Russia are concerned about the safety of their products, which the state agencies are increasingly requesting. That is why, for example, despite the climatic peculiarities of our region and the common habits of some consumers water-dispersion coatings now reached the share of 64 percent from the total size of the decorative market. 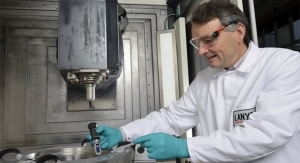 The share of solvent-based coatings, on the contrary, is constantly decreasing. 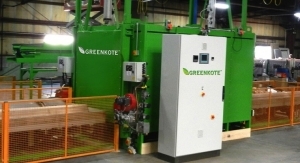 Of course, storage, transportation and use of waterborne coatings are difficult amid the low temperatures, because it requires the use of special components and, accordingly, a large attention of producers to the presence of the highly volatile organic compounds. 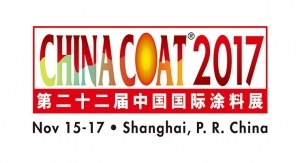 Currently, the professional community is discussing the development strategy of the coatings industry for the period of 10 years where the issues of ensuring the safety of coatings were attracted a lot of attention. One of the important things is also the planned technical regulation of the EEU “On the safety of coatings,” which has already been signed by a number of member countries. Finally, I would like to draw attention to a number of mistakes and incorrect statements made in the article. 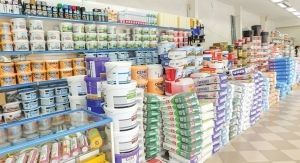 In the mentioned story it was not noted that it is exclusively describing the market of decorative coatings, in other words, construction products. The assumption that “..nobody can say for sure how much paint out of the remaining 76 percent contains toxin substances ...” is incorrect, because all the large producers that account for the large stake of the market manufacture safe products. In this case, the so-called safety data sheets for chemical products are developed and registered in accordance with the relevant procedure. The main purpose of this safety data sheets, just as MSDS, is informing the consumer about the dangers of products and requirements for safe handling with it. The statement “Today in Russia there are no independent laboratories able to identify harmful substances in coatings…” is not true, since such laboratories exist in all regions of the country, while the statement “... the situation is more complicated with formaldehyde, due to the harsh winter conditions in Russia it is used to prevent freezing of coatings during transportation” is technically incorrect, since formaldehyde donors, as it was already indicated, may be different coatings ingredient and it can not be added in the pure form. And the statement “..the Russian state procurement system is built in a way when at the competitive bidding procedure, the cheapest coating always wins” is also not true, because for tenders and electronic trading platforms of the state procurement system there are always prescribed the technical requirements for the product and the standards it must comply with. 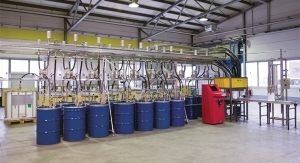 During the 20 years of the Russia’s modern history the domestic coatings industry (industry of paints and varnishes) has passed through the difficult stages of decentralization, privatization, establishment of the new production capacities and modernization of the old ones as well as the expanding product range. Unfortunately, coatings consumption per year is still below the average world indicators (9 l\person in Russia and 20 l\person on average globally) that allows Russia’s government and coatings manufacturers to make a long-term planning. 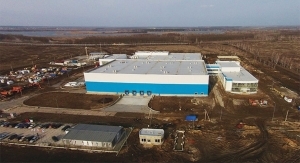 The incoming of the foreign multinational companies, which have put into operation the capacities for production of coatings in the territory of the Russian Federation, became an important stage in shaping the modern coatings market. Hence, the competition for the consumer has increased at the market. 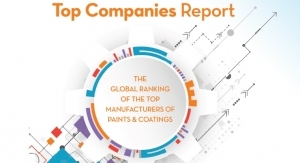 Due to the economic reasons it is quite difficult for the domestic facilities to compete with the global coatings producers, but still from year to year the competition only gains momentum. Today, the share of import in consumption of decorative coatings makes 8-10 percent, whilst in industrial coatings it is about 50 percent. 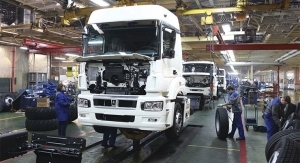 However, commissioning of the new capacities by Russian companies, including localized foreign companies, and pro-active stand of domestic manufacturers raise hopes that the structure of consumption in industrial segment will change towards the decrease of import supplies and rise in the outputs of plants located within Russia. According to Tsenrlak Association, import supplies should not account for more than 15 percent of the consumption at the market. 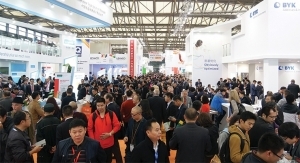 At the same time, a number of domestic facilities have experienced positive examples of competition in the high-tech segment of the industry. “On the safety of coatings” which has to be passed in the nearest future by EEU basing on the safety requirements on chemicals stipulated by technical regulation “On safety of chemical products”, adopted by EEU in 2017. The share of production made with violation of technological standards and so-called “garage” production is minor and has no significant effect on the consumer market. 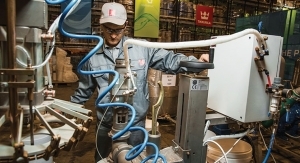 Russia’s government applies for the new tools aimed to combat the unfair manufacturers, including in coatings industry. In particular, the Decree of the President from January 23, 2015 has established the special commission on a fight against counterfeit production. It coordinates fight of executive authorities against import, production and turnover of illegal industrial products, including counterfeit. 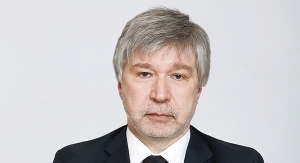 The commission is headed by the Russia’s Industry and Trade Minister Denis Manturov. To make production and to compete successfully, each manufacturer has to source quality raw materials. 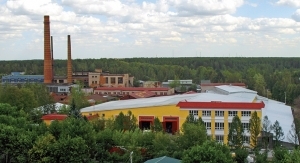 The raw materials market in Russia has a constant and developed pool of producers and suppliers. There are Russian and foreign suppliers of raw materials, including well-known companies from EU, the U.S. and the Asia-Pacific. 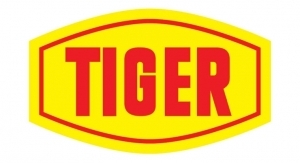 Domestic manufacturers actively increase the production of important products, having a task to compete with foreign suppliers both at quality, and at price, including on water dispersions, titanium dioxide and other things. 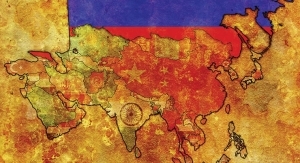 The government supports investments into the production of raw materials in Russia, providing a number of tax and investment benefits for manufacturers in this segment. 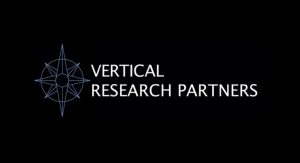 Expansion of the raw materials market, investment into scientific and technical development will enable Russia’s producers to manufacture competitive materials, meeting the requirements of consumers in terms of quality, technological effectiveness and safety. 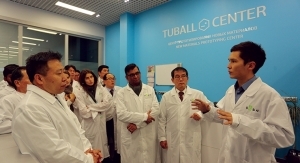 Great opportunities have emerged with the establishment of independent laboratories and the test centers. Hence, any producer can conduct all range of researches of coatings and raw materials, including for the identification of the harmful and forbidden chemicals. In 2017 independent laboratories with active support of the Russia’s government carry out work on certification on the international GLP standards and receiving a membership in the international associations ILAC\IAF. 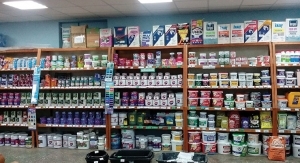 The growing competence of consumers when choosing coatings evidences that the customer tries to buy paints of the known brands and of high quality. The Russian coatings manufacturers try to make products matching the requirements of buyers in all decorative and industrial segments, taking into account the customers preferences. At the same time all coatings offered to consumers have to meet the requirements of safety approved for EEU, Russia, and requirements of the markets the products are exported to. 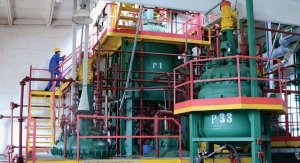 Each coating producer in Russia has to guarantee such compliance to safety requirements. Non-compliance of production to standard safety requirements would cause compulsory shutdown of the facility, large fines on the company and its heads in accordance to the legislation. 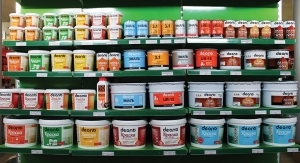 Tsentrlak is the commonly used name for the Association of producers, consumers and suppliers of raw materials for paints and varnishes. 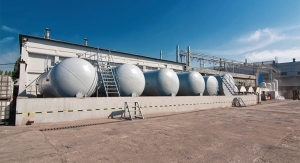 Uniting the interests of producers and consumers, it promotes the steady growth of the coatings market and interacts with the Russia’s government and manufacturers on a wide range of questions of branch development.